Thinking about Choosing a Retirement Community? Home/Feature Articles/A Parting Word - By David Ammons/Thinking about Choosing a Retirement Community? David Ammons is president of Retirement Living Associates, Inc. (RLA), a company which provides planning, development, marketing, and management services for new and existing retirement communities. 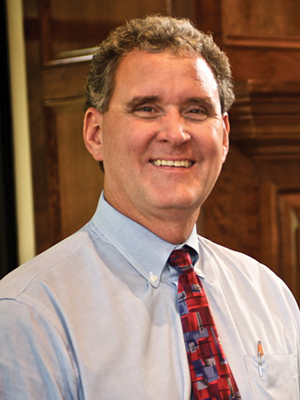 He has worked in and with Senior Living Communities since his graduation from Wake Forest University in 1985. I have been pondering the question of how one chooses a retirement community, so I started where, I am told, most folks start to look for a retirement community – the Google search engine. What I find interesting is that the search phrase “How to Choose a College” provided over 15.4 million results while the search phrase “How to Choose a Retirement Community” provided just over 500,000. I am not sure what that tells me; does Google think that the age group looking to the internet for College help is three times larger than the age group looking for a retirement community? I suspect an interesting sidebar to this active searching is the group in the middle age… that is the 50 (give or take a decade) year olds… that are searching to help their children with College shopping are also assisting their parents with Retirement Community shopping. In writing this article, I started to formulate a list (on a college ruled sheet of paper, of course) of the best methods of searching for a retirement community I have observed in my 30+ year career. As I made my list I realized how similar it was to the process I have just completed with my daughter (and did only a short 8 years ago with my older daughter) in searching for a college. So whether for College or Retirement Community I offer a roadmap you may use in your search for a Retirement Community. These steps might get you thinking about, and better prepared for, your personal shopping adventure. When I began my list I initially placed “Pure Emotion” first then used the more practical steps to confirm my choice but in thinking more about it, that can allow for disappointment. I know in College, the process the high schools advise is choose three levels; Wish List, Middle List, and Safe List. This also applies to Retirement as you will need to factor in availability as well as qualifications. Embedded or between the lines above are the big obvious ones: Be sure you can afford it, talk to your friends, be sure the day-to-day life is what you want, Consider how it meets your needs today and tomorrow.